Jimmy Eat World, X Ambassadors, Cold War Kids, Dr. Dog, More to Play Live on the Green 2018! 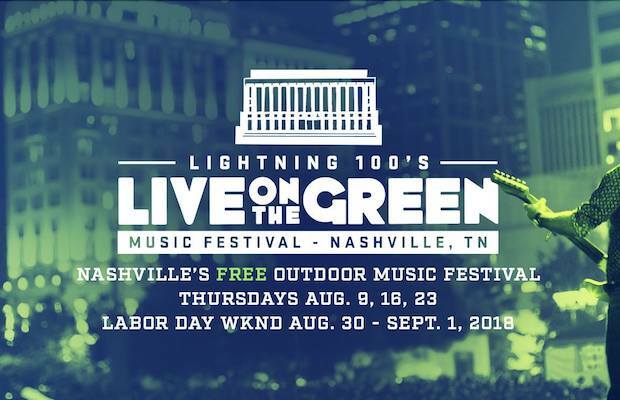 Now in its tenth season, Nashville’s annual Live on the Green music fest is set to return Thursday, Aug. 9, spanning, as it has for the last several years, across four weeks, Aug. 16 & 23, ending with an epic three-day Labor Day weekend event Aug. 30-Sept. 1. 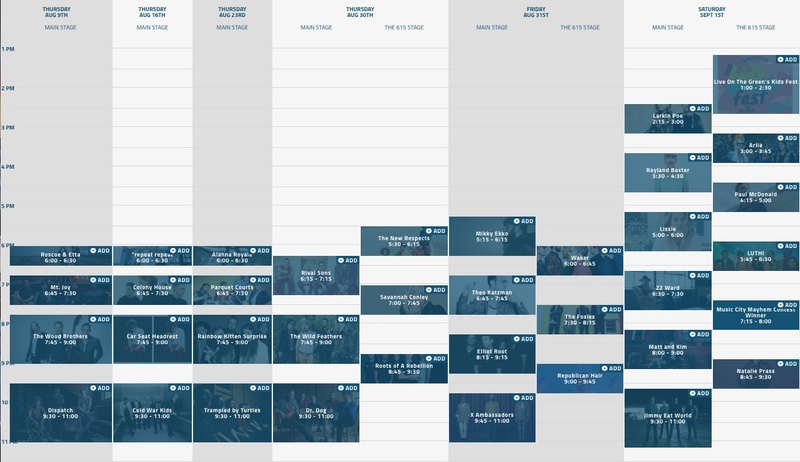 Per usual, LOTG is all ages, totally FREE, and features a variety of local food trucks, craft beer, and more, with two stages of fantastic outdoor music in downtown Public Square Park. Additionally, a limited number of VIP and Backstage VIP tickets are available here, with perks like special access, private bathrooms, shaded viewing areas, and free food and drinks. Last year’s lineup, which included Sheryl Crow, Spoon, Portugal. The Man, Local Natives, and Iron & Wine, set the bar incredibly high, boasting a huge number of excellent and diverse performers, but 2018 manages to exceed it, with a massive slate of incredible acts, including some returning names!